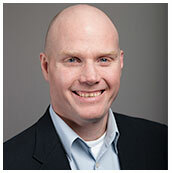 Kevin Collins has worked over 10 years in the non-profit sector. He has held progressive roles over the last three years at the Appraisal Institute of Canada. As Conference and Meeting Planner, he was instrumental in the development of the education content delivered at the annual conference. As Program Officer, Kevin continued his responsibilities with the annual conference and worked closely with the Conference Committee and the Admission and Accreditation Committee (AAC) to deliver relevant and insightful education sessions to meet the needs of AIC members and the requirements of the AIC’s Continuing Professional Development (CPD) program. Driven by his goal to provide optimum member service, Kevin has supported the AAC’s educational objectives by implementing new technologies that will enhance AIC program delivery. Kevin was responsible for integrating webinar technology to enable AIC to deliver online education to our members. He developed online forms to provide more convenient and user-friendly submissions of the new Work Product Review program; and also played a key role in integrating AIC’s member database in to the new AIC website to ensure minimal time and effort was needed from AIC members to update their member profiles. Kevin believes in the importance of corporate responsibility, and was instrumental in organizing AIC’s partnership with Habitat for Humanity. Since beginning the program, he has facilitated six builds across Canada. Kevin recognizes the importance of building relationships with members and partners to better understand their needs and develop policies and resources that they require to succeed.